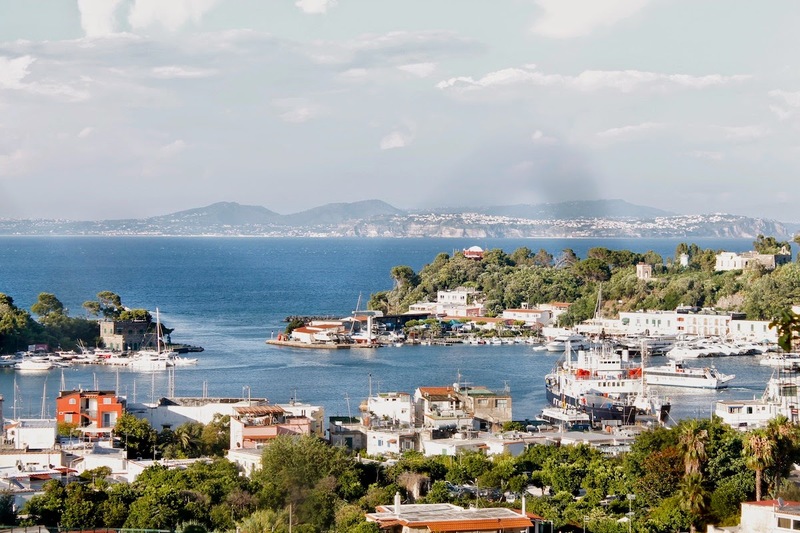 Ischia is divided into six different communities (Ischia (with Ischia Porto and Ischia Ponte), Casamicciola Terme, Lacco Ameno, Forio, Serrara Fontana and Bario d'Ischia). Each of those has its own mayor and in total there live about 60.000 people on the island (although I guess it's a lot more in summer ;) ). If you come to Ischia in July you definitely shouldn't miss la Festa di Sant' Anna which takes place on July 26th in front of the Castello. The main attraction of the event is the judging of specially built floats. They are built by the different Ischian communities and represent themes which are somehow related to the island and its history. 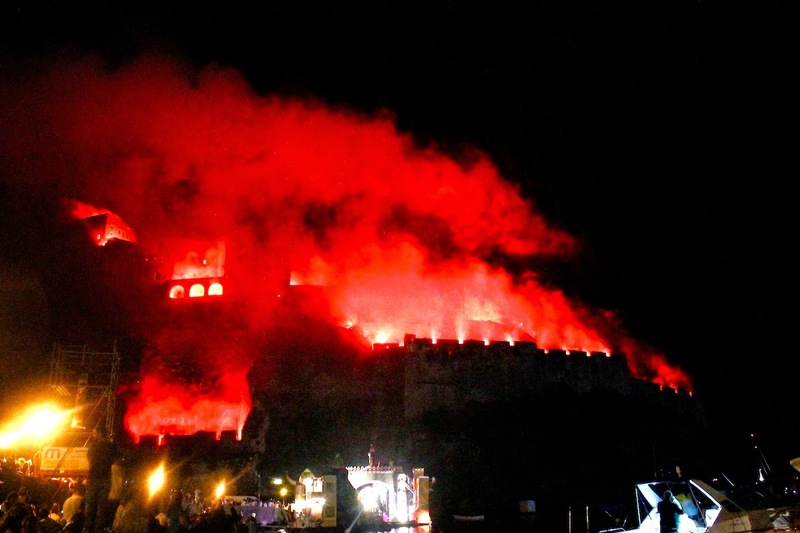 After the judging of the boats there is a firework and in the end the Castello gets symbolically wrapped in flames with the help of Bengal lights. This is really an impressive sight!! Concerning sights my absolute favourite were the Giardini La Mortella, the botanical garden of British composer Sir William Walton and his wife Susana near Forio. This beautiful and grand garden (designed by British garden architect Russell Page) with its great and colourful variety of plants from all over the world is an oasis of peace and contemplation where you can stroll around for hours without getting bored. 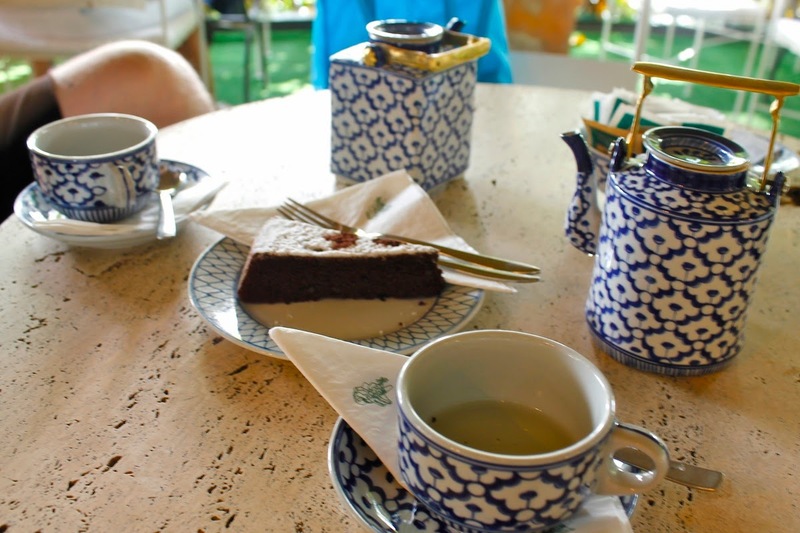 In the centre of the garden you'll also find a lovely little tea house where you can enjoy a cup of tea and indulge in super tasty Torta Caprese. Lovers of classical music can also come in the evening and enjoy one of the concerts which are regulary offered throughout the summer. If you are a movie fan you shouldn't miss out on the Villa Colombaia, the former mansion of Italian director Luchino Visconti. It's well hidden in the woods and not too easy to find but it's a nice small film museum and still worth a visit especially if the weather is not as good as it could be. 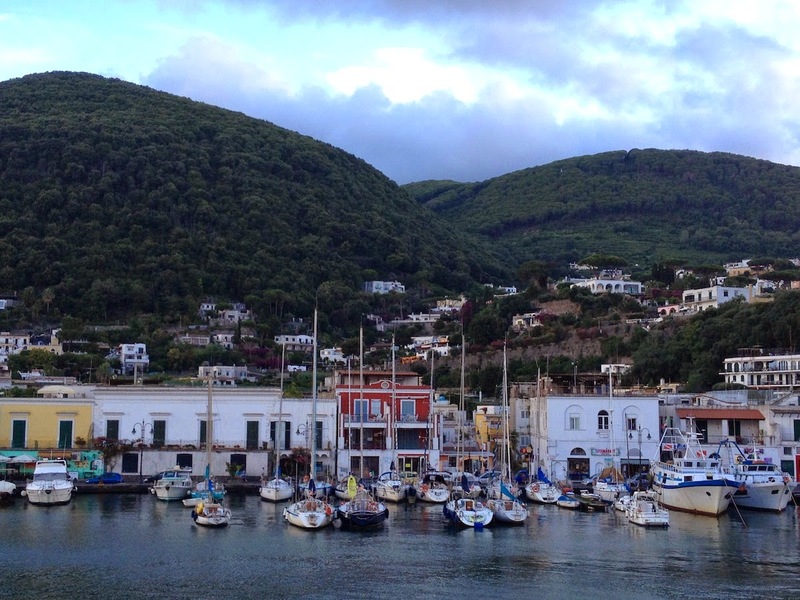 In July there also takes place the Ischia Global Fest, an international movie festival. 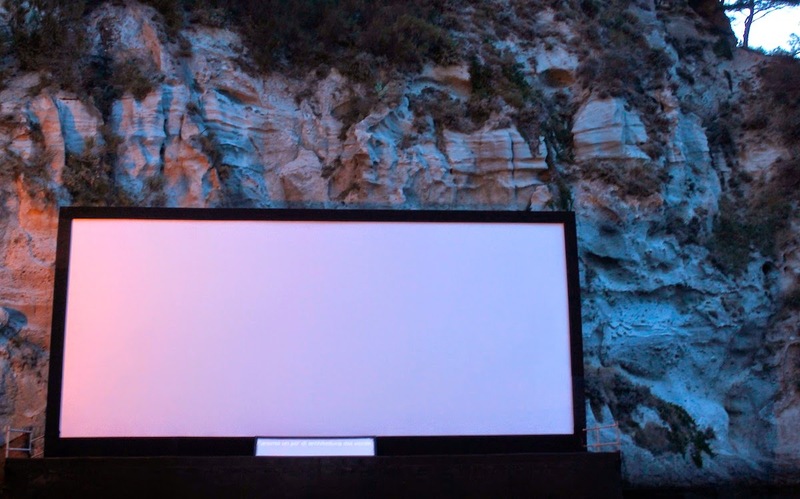 One of the festival venues is the Albergo della Regina Isabella, a very fancy hotel in Lacco Ameno, where the movies are shown outdoors next to the sea. Not all of the movies, that are shown there, are open to the public, but the ones that are, are all shown in original language with English and Italian subtitles and the venue is definitely worth a visit. Another museum which is supposed to be interesting (also we didn't go there) is the Museo Archeologico Pithecusa, an archaeological museum in the Villa Arbusto in Lacco Ameno. 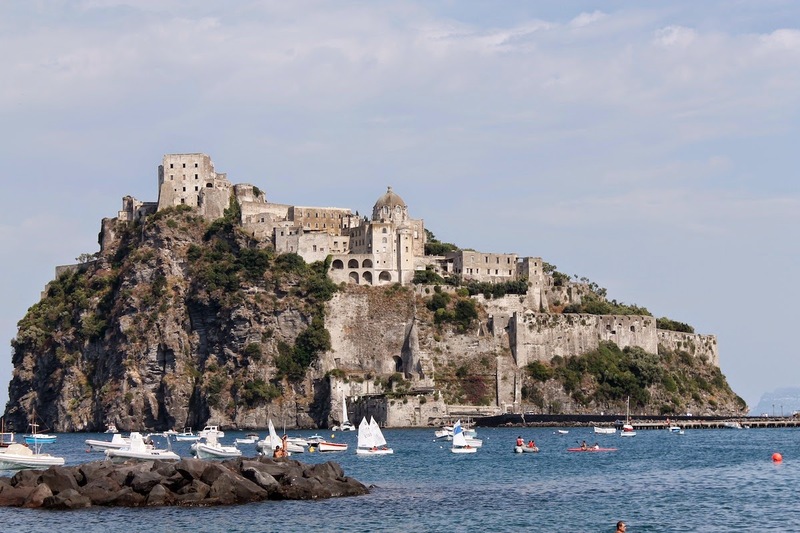 Apart from these sights you should definitely check out all of Ischia's communities, which I mentioned above plus the little and car-free fischermen's village Sant' Angelo. 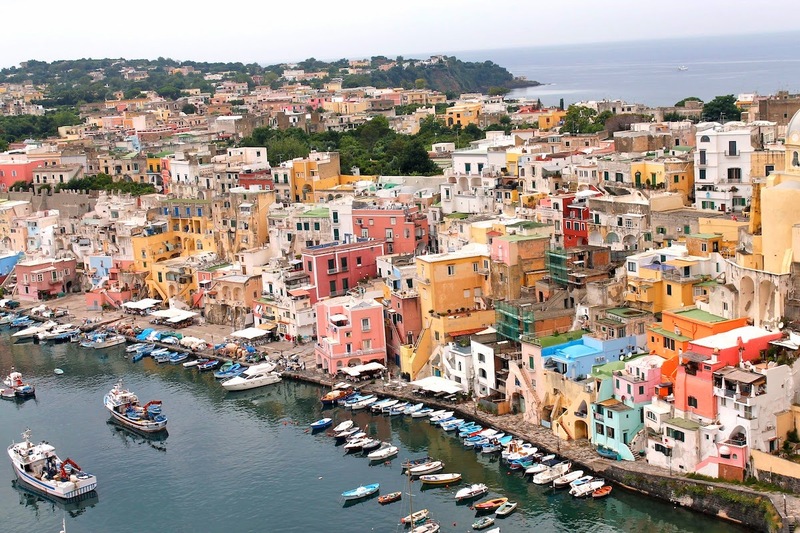 In any case you should ever get bored in Ischia (which won't happen) you can always visit one of the neighbouring islands Procida and Capri or make a trip to Naples or the Amalfi coast. What I also recommend is a visit of la Baia di Sorgeto. 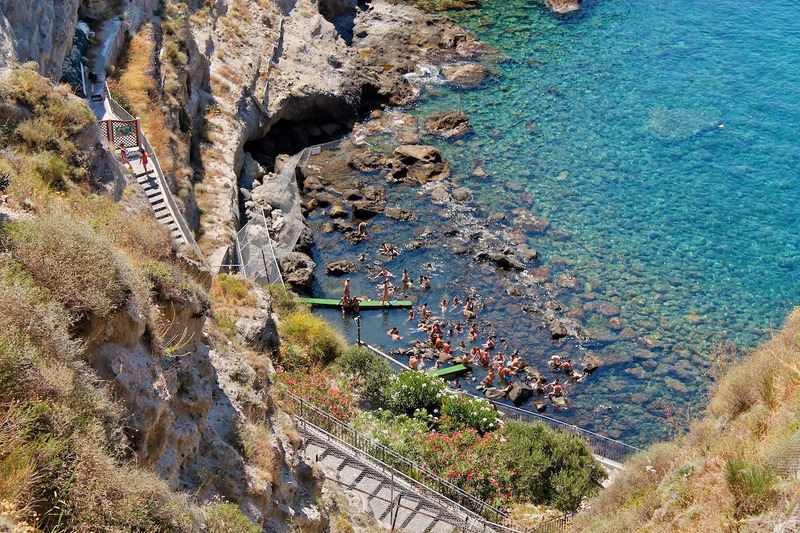 That's a lovely small bay near Forio where hot thermal water springs directly into the sea. The thermal water mixes immediately with the sea water: the nearer you are to the spring the warmer the water, the farer the colder. If that is too much nature for some of you, you can also check out one of the many thermal parks on the island. We went to Castiglione Thermal Park near our B&B twice and really loved it there but of course there are many more, such as the well-known Poseidon Giardini Terme.